The Beachhouse enjoys a direct view at the beach, the sea and the forested mountains directly behind the village. See for yourself beneath. The sandy beach begins only a few steps from the house, just across the pedestrian area. The sea, which is directly opposite the house (under the arrow), is shallow and warm and ideal for small children. In the picture just behind the roof of the last house on your left, the top of Mount Ossa or Kissafos (1.997 mtr) is visible and behind our beachhouse you can see the foothills of the Lower-Olympus Mountains (1.600 mtr). Further to your right, the snow covered Mountain of the Greek Gods, the Olympus rises straight up from the sea to almost 3.000 mtr. It is not visible in this picture, but you can admire it from our balcony or roof terrace, see the pictures elsewhere. 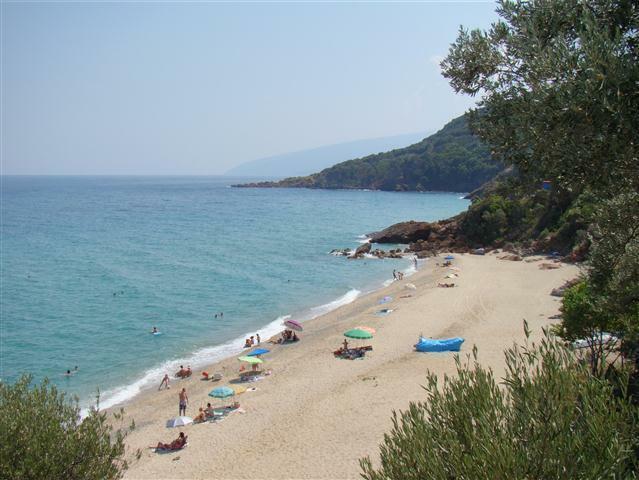 Our Beachhouse is located in the quieter parts of the modern seaside-village called Nei Pori, in the District Pieria, which belongs to the Prefecture Central-Macedonia in the mainland of Greece. 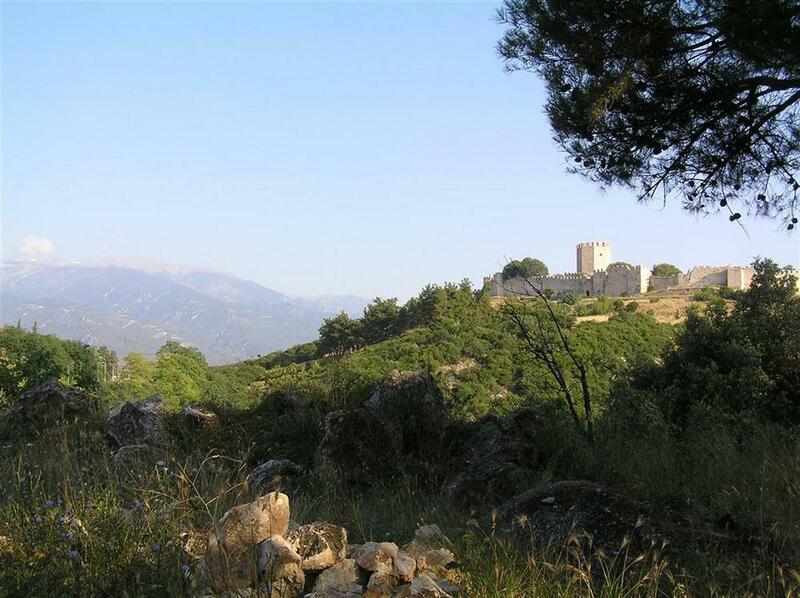 The village itself is beautifully nested between the Olympus, the Lower Olympus and the Ossa mountains and in the middle of the green Pinios River-delta. This delta is also the reason why the beach over here is a mere 100 meters wide, right there, in front of the house. We're talking about a sandy beach here, with real sand and nothing else. No pebbles, stones or rocks. It goes on and on for miles, starting at the neighboring village Platamon 3 km to the North and only ending some 25 km further South at the village Stomion at the foot of Mount Ossa, way across on the other end of the Delta. If you prefer beaches with pebbles, no problem, just outside the village, you can find such bays and beaches in abundancy too. There is also a beach for naturists (not officially allowed in Greece!). Here in Pieria, a coastal region in Central Macedonia, the sea is shallow, blue and warm. Sea water temperatures are well above 22 degrees from the end of May until the end of October, reaching a comfortable 25 degrees on the average in the warmest months July and August. For a local prognosis of the weather for the next few days please click here. 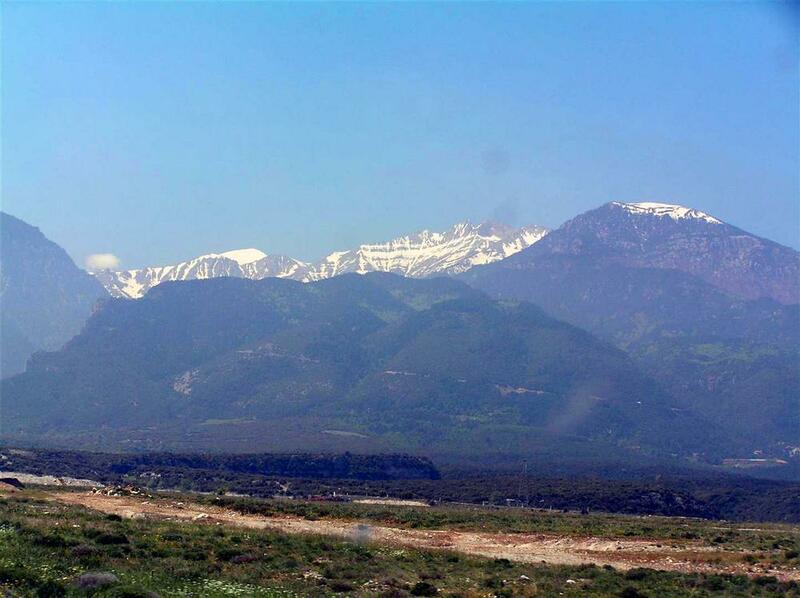 For a general 5 days weather forecast for this part of Greece click here. In the neighborhood you can find beaches to your liking, busy or quiet, sandy or with pebbles, large or small, normal or for naturists. 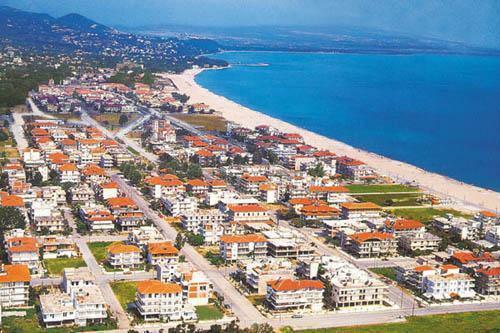 In the village you have a lively, broad, golden beach with cafeteria's, beachbars and restaurants. Everything at hand. Just outside the village you have the beach and the nature almost to yourself. In walking distance of the village (2 km) there is a beach for naturists. And just 15 minutes away, you can find many small, private bays as the one in the banner above this site (at Kissafos mountain) or below. The village is easily reachable from the main European airports via Thessaloniki airport or Volos airport and has excellent public transport connections (by train & bus) to neighboring villages and cities like Katerini (30 km), Larissa (50 km), Thessaloniki (100 km) and its airport or Volos (110 km) and its airport. Optionally, we can arrange your transfers comfortably, quickly and secure from either airport with our minivan for up to 6 people against a reasonable fee. 1,5 hour after your arrival in Greece you will stand on the Nei Pori beach. 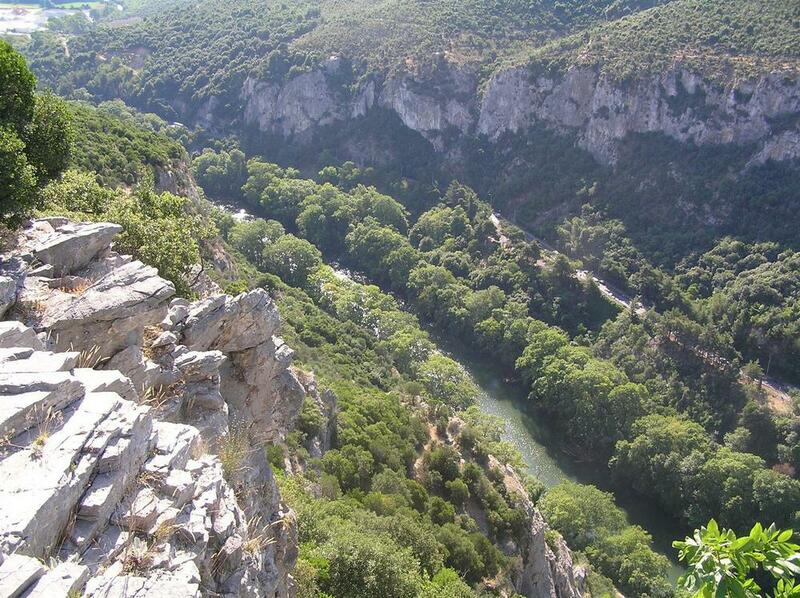 The Pieria region is surrounded by scenic canyons and gorges like the Enipeas Gorge at Litochoron/Olympus, The Kalypso canyon with its waterfalls and lakes and naturally the unique Tempi Valley which is actually a large canyon (see elsewhere on this site), forested mountains, traditional and picturesque mountain villages. You can find archelogical sites like Dion, Platamon Castle, Larissa with its Acropolis & ancient Theater, or modern cities, like Katerini, Larissa and, a little farther away, Thessaloniki with the famous White Tower, important byzantine churches and lots of museums. There are many monasteries in the region worth visiting like the Agios Dimitrios Monastery founded in 527 AD, the Agion Anagyron monastery, John the Baptist and other. Let's not forget the world famous Meteora Monasteries at Kalambaka, the ancient Macedonian cities Vergina or Pella and the wonderful Pilion Mountain region with the city of Volos with its harbor, its archaeological excavations (remember the Argonauts and the golden fleese?) and ferryboat connections to the nearby islands of Skiathos, Skopelos and Alonisos. 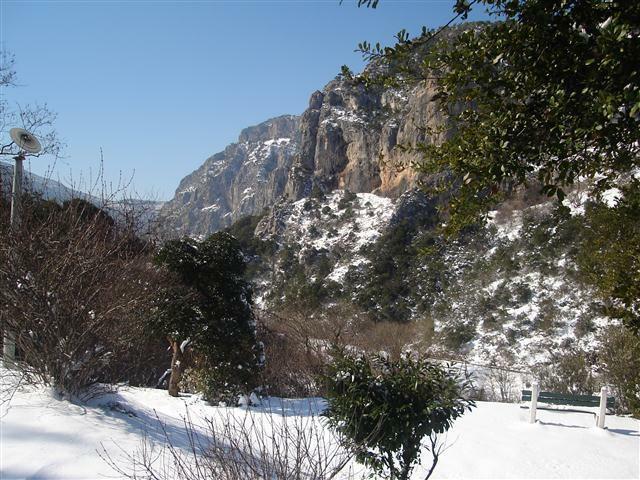 Close by, you will find the Greek National Park of Mount Olympus (20 km) and Tempi Valley (10 km), the Important Bird Areas of Tempi & Pinios Delta and the Nature 2000 Area of the Ossa Mountain. 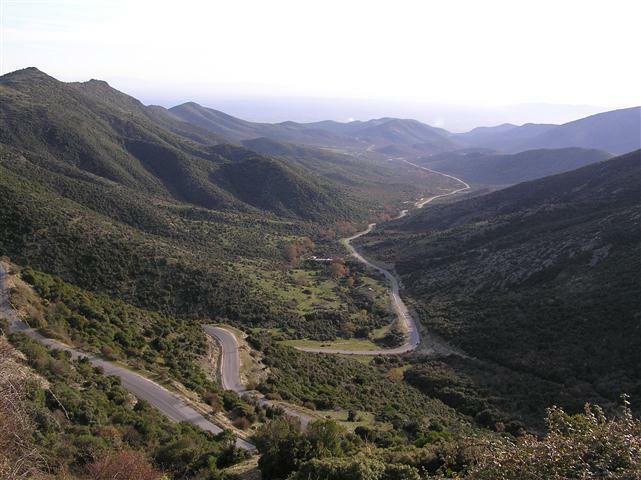 You can do some mountain hiking or climbing here, even hang-gliding and cave discovering or simply enjoy bicycling and walking in the region. See below and be amazed. One-day excursions, for example to the world famous Meteora, Alexander the Great's Vergina and Pella, or to Thessaloniki are easily undertaken.On request, we organize these and other excursions in the region for up to 6 people with guide. Naturally, you can also just go to the beach or sit on our roof terrace or balcony, have a relaxing ouzo and simply enjoy the view, just doing nothing. You are having a holiday after all. Just relax. There is something for everyone at Beachhouse Nei Pori. Like we said, the house is located not even 30 meters from the beach and it offers ample space to families or groups of 4 to maximum 8 persons with its 5 large rooms, balconies and roof terrace. a large L-shaped living- plus a separate dining room of total 8x8 m2 with AC, 2 spacious bedrooms, each with 2 beds with AC, closet and a small safe. large bathroom with shower, toilet, bidet, lavatory, washing machine, hairdryer, electrical heater. kitchen with double sink, large fridge, microwave, electric stove with oven, toaster, coffeemaker etc. balcony over three sides of the house, 35 mtr long. 1 extra toilet/shower on the ground floor. 1 small 2 bed room with AC and closet on the roofterrace. a 100 m2 private roof terrace. a 100 m2 secured and shaded space on the ground floor of the house, usable as parking/playground/barbecue space. a secured garden of 150m2 arround the house. On our next page you will find a detailed description with pictures of the complete house. 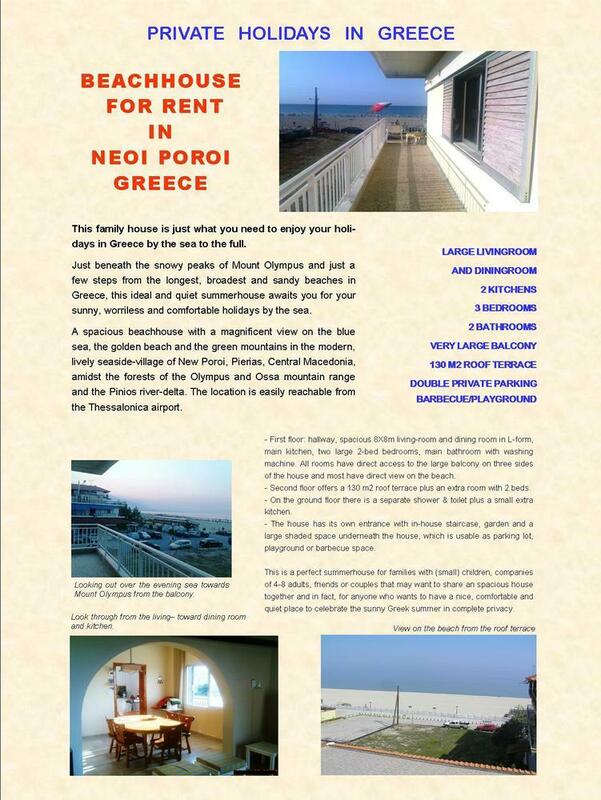 There is also a separate page with our holiday apartments. 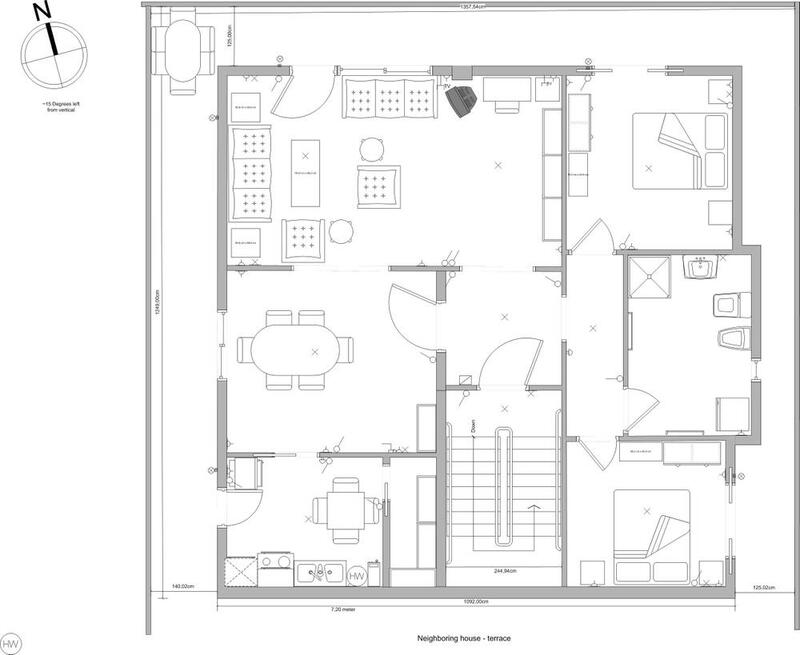 Here you have the layout of the first floor. On our next page you will find a detailed description with pictures of the complete house.